Temperature graph. The number in the lower left corner is number of data points in the graph. The source code for the system is available at my github account. The version presented here, is at tag passive_plot – in the last version it is possible to read out data, clicking in the chart. 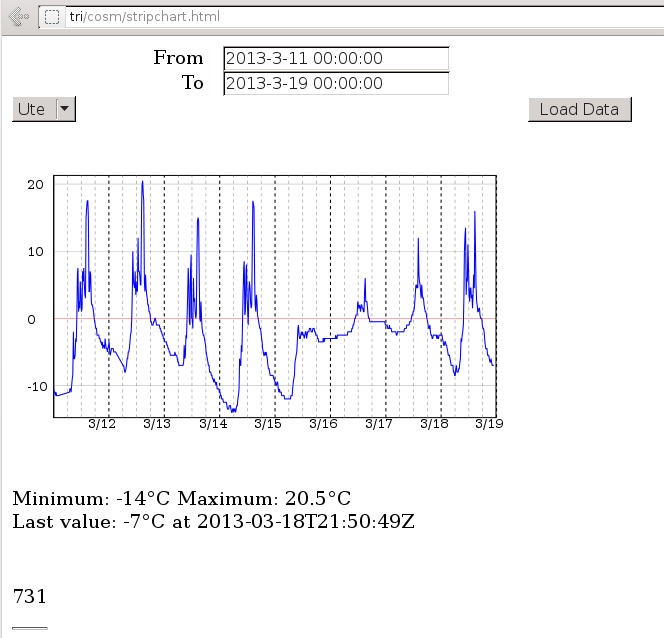 Later it will also be shown how to put more charts on one web page.